Under supervision of Director Mr. Zahid Hussain, the newly appointed team of OEC, successfully organized three awareness sessions in different areas of phunder i.e Shamaran, center Phander, and Gulakhmuli. The whole visit was powered by Central Asian Institute and sponsored by National bakers, and many other donors. In the first visit that was officiated on Saturday morning, Director Expo team, Mr. Zahid Hussain showed gratitude to his team on gathering for the first expo session in his tenure. This Expo team is a diverse team of students from different universities of Pakistan and abroad, studying in different fields. 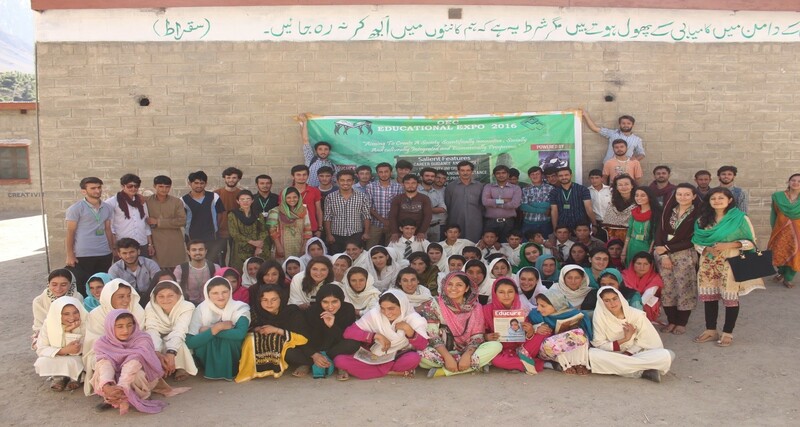 The motive behind this student expo was to provide a platform to the youth of the remote areas of Gilgit-Baltistan. It aimed to provide awareness and motivation to the students who are aiming to pursue higher studies. These educational expos are designed to guide students, to motivate and to inspire them for their academic excellence. Furthermore, the expo team also shared information regarding different universities and their admission criteria, fee structure, course outline, and scholarships (needy/merit). Apart from OEC team members there were also new volunteers especially the principal of LRS played vital role in making the expo at center phunder successful.